Railcoach 280, built in 1935, was converted to a towing car in 1961 and renumbered 680. Initially operating in the all cream livery, 680 was repainted in the half green half cream livery in 1970. Interestingly, 680’s trailer wasn’t repainted until 1972, and so the set operated with both trams in different liveries! Never permanently coupled, 680 often operated singly. It last ran as a twin car in 1972. Withdrawn for overhaul in 1989, it returned to service in 1992 looking very smart in the 1990s livery. It now sported ex-OMO windows and panelled over roof windows. 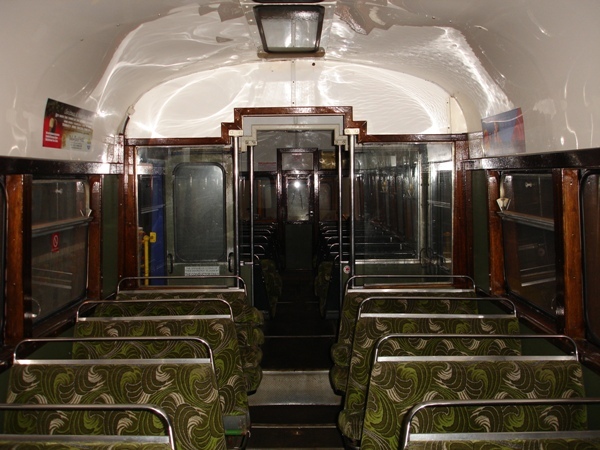 Internally, 680 had bus seats fitted and concealed lighting. In 1995, 680 was repainted in an advert livery for Scruffy Murphys. This was followed by Dillons bookshop in 1996, Leonard Cheshire in 1998, Central Pier in 2004 and Merrie England Bar in 2006. 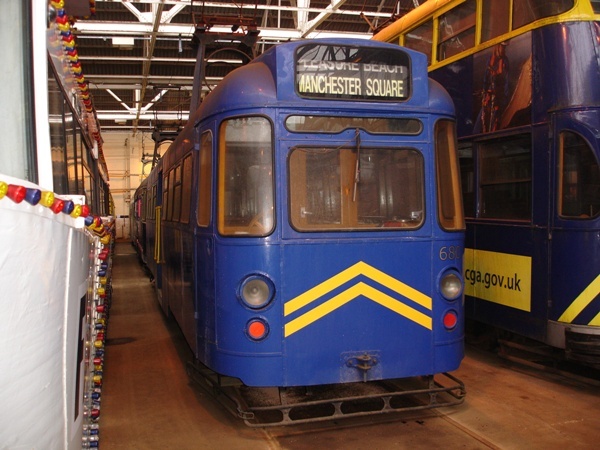 In 2008, 680 was repainted all-over blue, receiving yellow chevrons on its ends. 680 last ran on 30th October 2008. 680 seen early in 2010. 680’s saloon, complete with bus seats. 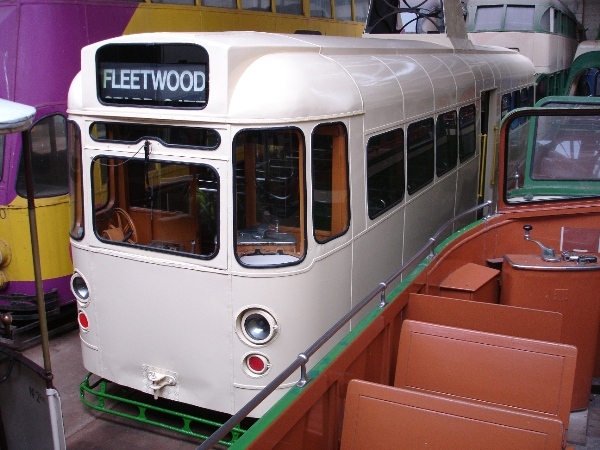 In September 2010, 680 entered the paintshop at Blackpool for repainting in an all cream livery with green lining. This livery will resemble the original twin set livery from the 1960s. It is shown above on Depot Open Day. 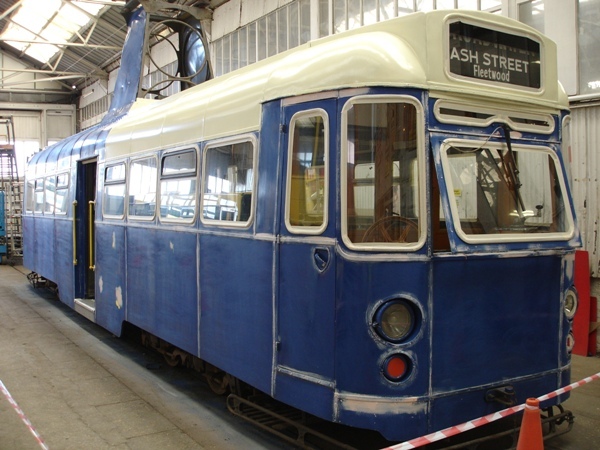 By the end of October 2010, 680 had been repainted cream. The green lining would be added at a later date. On December 2013, 680 went to Beamish on loan. After being prepared for service, 680 entered service as 280 on 11th January 2014. 280 arrived at Heaton Park on March 23rd 2015 and entered service on 26th April 2015. In August 2015, 280 became 680 again and was repeainted in the 1990s livery. On August 21st, 680 went to Blackpool on loan and should feature in their 130th Anniversary Celebrations.